Supervisor Jane Kim followed through with her promise to the Flower Mart workers by introducing Interim Controls on Tuesday that would slow down the conversion of PDR (production, distribution and repair) businesses into high tech offices but put a 45 day lid on the controls. That’s just enough time to get her reelected in November. April Veneracion from Kim’s office contends that the complete prohibition currently in the controls could only be applied for 45 days but that they fully intend to extend them (except for projects in the pipeline) for a full year and, if the Central SoMa Plan is still not adopted, for another. The Mayor’s Office of Economic and Workforce Development would like nothing more than for this little outburst about the preservation of good working class jobs to blow over. The question is, is Kim just helping to paper this over? 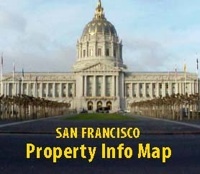 The controls would apply to an area of South of Market between 2nd and 6th Streets known as the Central SoMa Plan Area. Deemed a matter of “urgency,” Kim claims that these controls will support the primary objectives of the Central SoMa Plan which include maintaining the area’s vibrant economic and physical diversity. [This article was extensively rewritten because of new information and to clean up an issue of attribution].